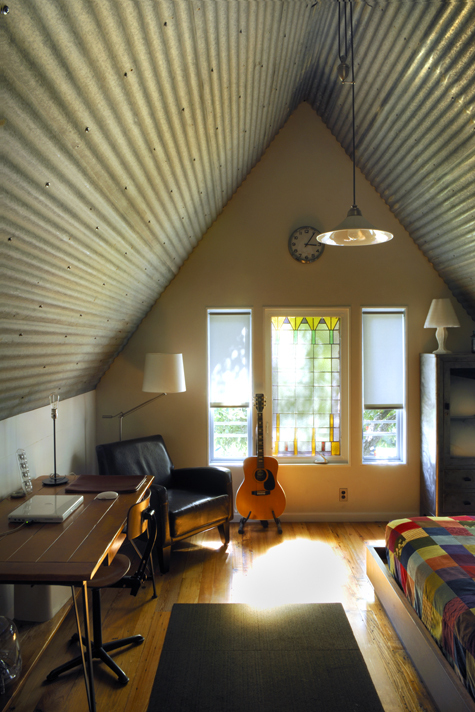 Low, angled ceilings can chop up a space faster than a bad designer. Typically, I like to take the wall finish up onto the angled ceiling and then continue it onto the flat ceiling (click HERE to see examples). This works really well when there are odd or irregular angles in the space at the ceiling here and there. It serves to camouflage or cover those up. However, there are times when this might not be the best solution - like when the angles in the ceiling are the main focus of the room and, in that case, you want them to stand out. If the room is symmetrical and/or the angle is very dramatic, the angled ceiling can become the design “feature” of the room. Then you can accent it by changing the color or finish, especially on the “end” walls. When an angled ceiling is, hands down, THE best feature of a room, it deserves to be the star. There’s no need to try to camouflage it or cover it up. Let it be amazing! 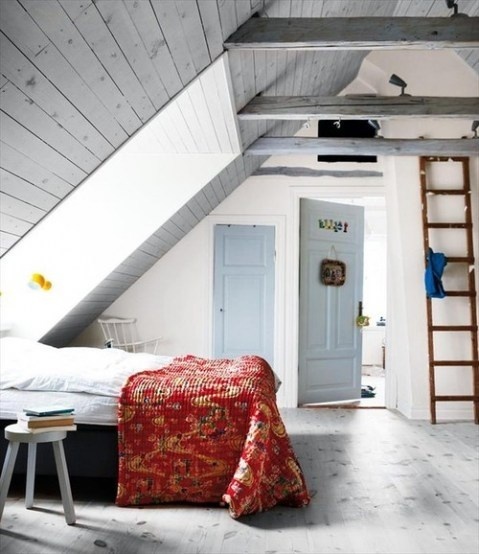 ◆ Items That Can Fit Under a Low, Angled Ceiling: A Bed, Shower, Cabinets & More!